Take to the Sky's with Route Planners & Maps. 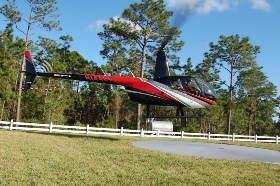 Directions International Helitours (Orlando)... Are you travelling by car? If so, you'll most likely be using the 192, Osceola Parkway, International Drive and the I-4. Located on on International Drive, across from the Premium Outlet Mall, just look for the red life size model helicopter by the road junction. Depending on the time of year (High season etc) and what part of Orlando you're coming from, this should take you around 20mins - 45mins, check opening times for helicopter rides before you leave your home town. If you already know where your staying in the Orlando/Kissimmee area, please use this useful Google road map search box below for directions international helitours. We will keep updating this page via our RSS feed. regarding new additions, changes etc, so click onto the RSS feed above and follow the instructions to keep you on top off what's happening in and around Orlando, including updates for directions International Helitours.